Savage Arms will debut 40 new products at SHOT Show in Las Vegas including limited edition rifles and expansions on favorites. The company announced its XP scoped rifle series will see an expansion as well as improvements, bringing a new Apex XP and kid-friendly Rascal Target XP to market. The 110 Apex XP will enter the series and will boast Vortex optics while the current AXIS XP will be revamped with a modernized stock. The AccuFit will now bless the 110 High Country as well as two new bolt-action turkey shotguns with its allowing shooters to adjust comb height and length-of-pull quickly and efficiently. The 110 High Country will offer a long range setup for long range shooters. Savage Arms also announced a new single-shot turkey gun designed around Federal Premium’s .410 Heavyweight TSS turkey loads. 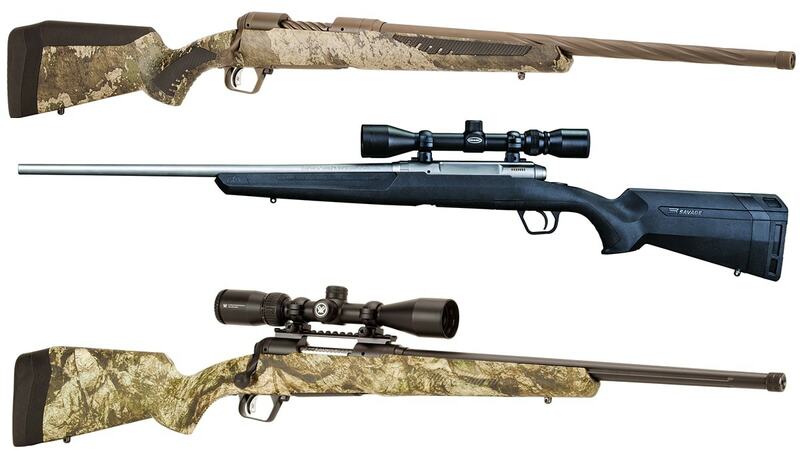 Savage is set to celebrate 125 years in business in 2019 and with that will debut limited edition rifles to its consumers though no specifics have been offered. Guns.com will be at SHOT Show later this month so stay tuned for full coverage.